Taxi 8 places. Sncf train station. Geneva airport, Lyon airport. 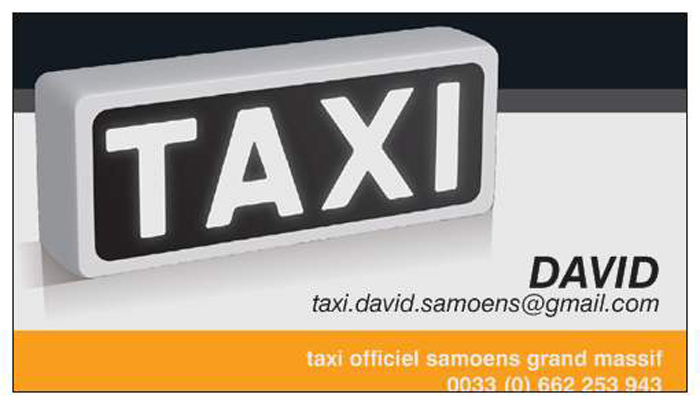 Taxi in the village, different distances: village centre, Supermarket Carrefour Market and other shops. Grand Massif Express lift and around the village. Medical transport also, with electric wheel-chair, reserved in advance.